Paramount Pictures is a feature film production and distribution company. More than a century ago, in 1912, Adolph Zukor, Jesse L. Lasky and Cecil B. DeMill founded Paramount. (7) Paramount contributed to the Golden Age of Cinema in the 1950s with movies like A Place in the Sun in 1951 and The Ten Commandments in 1956. (8) The company birthed The Godfather series in the 1970s to further their prominence in Hollywood. (9) Paramount continued to churn out money-making films through the 1980s and 1990s including Top Gun, but also produced films which enjoyed critical-acclaim at the turn of the century, such as No Country for Old Men. (10) Paramount shattered industry records in 2011 by releasing “six consecutive movies grossing more than $100 million dollars at the domestic box office”. (11) Whether it be comedy, drama, action or suspense, Paramount has been highly regarded as a top player in the industry, but lately struggles to stay ahead of its competitors. All of these movies besides Mission Impossible, only made the production budget back thanks to large grosses from international markets. This displays Paramount’s need to cater to not only a domestic U.S. market but also an international one. After a slow start in the fourth quarter with Scouts Guide to the Zombie Apocalypse and Paranormal Activity: The Ghost Dimension, Paramount remains optimistic with a few key theatrical releases. Paramount has been pulling in less and less revenue since a spike in 2011 of a huge $1,736 million. This displays that Paramount has clearly fell in prominence. In January 2016, Paramount plans to release The Secret Soldiers of Benghazi. (24) The action-drama looks promising, especially since movies in the genre, like American Sniper have done incredibly well in the past. This may be a step in the right direction for Paramount to make 2016 a more successful finical year than 2015. The writer director duo of The Departed, which was financial and critically successful, are being sought after by Paramount in hopes of producing a feature film about the fearless Evel Knievel. (26) The possibility of the pair reuniting has excited Paramount, and the studio has continued to negotiate. The movie has all the ingredients for becoming wildly successful. Paramount has long been known for producing high-quality, critically acclaimed movies as well as blockbuster hits. In a media industry facing loss of revenues from piracy and streaming, Paramount has found a way to embrace current technological advancements. Starting in October of 2015, Paramount has made available the, “Paramount Vault”. (28) The studio has made available select feature films for free. Paramount is now showcasing all of their film successes to a young, technological savvy audience, which only further builds their reputation. Paramount signs licensing deal to expand offerings on TVOD, in foreign markets, with Youku Tudou Inc. (29) In an age of increasingly prominent OTT services, film distribution companies often search for an outlet exhibit. Youku has struck a deal with paramount agreeing to showcase classic titles such as Transformers, Shrek, and Star Trek. (30) Paramount has also made a deal with UltraFlix, which would allow for UltraFlix subscribers to view classics like Forrest Gump, Saving Privet Ryan, and The Godfather. (31) Paramount continues to reach large diverse audience even in increasingly difficult times. Paramount has shortened the digital release of Scouts Guide to the Zombie Apocalypse. “Scouts” was a flop. By challenging the norms of digital release windows of feature films, Paramount aims to test shortened time of digital release. (32) The movie would be available for digital release two weeks after leaving the theaters. The deal forced the hand of exhibitors like Regal and AMC who refused to show the movie in their theaters, further contributing to its failure. (34) Paramount is pushing conventional limits, when movies flop in theaters, “arbitrarily keeping those movies out of circulation is just bogus,” said Megan Colligan, Paramount’s president of world-wide distribution. Paramount is among the oldest, most successful, film studios in the United States, and have been raking in the money and academy awards since 1912. Though the studio has seen some successes in 2015, Paramount has fallen out of dominance they enjoyed in the mid-2000s. Paramount, recognizing the blip, has taken measures, such as key theatrical releases, the use of star-power and alternative distribution techniques, to hopefully make 2016 a more financially bountiful and critically acclaimed year. (1) Inside the Studio. Paramount Studios Logo. Retrieved December 1st 2015. (2) Inside the Studio. Paramount Studios Executives Brad Grey. Retrieved December 1st 2015. (3) Inside the Studio. Paramount Studios Executives Rob Moore. Retrieved December 1st 2015. (4) Inside the Studio. Paramount Studios Executives Fedrick Huntsberry. Retrieved December 1st 2015. (5) Inside the Studio. Paramount Studios Executives Marc Evans . Retrieved December 1st 2015. (6) Inside the Studio. Paramount Studios Executives Amy Powell. Retrieved December 1st 2015. (7) Inside the Studio. The Paramount Story: Our Founding Fathers. Retrieved December 1st 2015. (8) Inside the Studio. The Paramount Story: Mid-Century Renaissance. Retrieved December 1st 2015. (9) Inside the Studio. The Paramount Story: The New Hollywood. Retrieved December 1st 2015. (10) Inside the Studio. The Paramount Story: Critical & Commercial Success. Retrieved December 1st 2015. (11) Inside the Studio. The Paramount Story: Record-Breaking Films. Retrieved December 1st 2015. (12) Box Office Mojo. Studios: Paramount. Retrieved December 1st 2015. (13) Box Office Mojo. Movies: Terminator 2015. Retrieved December 1st 2015. (14) Box Office Mojo. Movies: MI5. Retrieved December 1st 2015. (15) Box Office Mojo. Movies: Paranormal Activity: The Ghost Dimension. Retrieved December 1st 2015. (16) Box Office Mojo. Movies: Scout’s Guide to the Zombie Apocalypse. Retrieved December 1st 2015. (17) Paramount Pictures. Paramount Showcase: The Big Short. Retrieved December 1st 2015. (18) Paramount Pictures. Paramount Showcase: Roman Holiday. Retrieved December 1st 2015. (19) Paramount Pictures. Paramount Showcase: Daddy’s Home. Retrieved December 1st 2015. (20) Box Office Mojo. Paramount Yearly Comparisons. Retrieved December 1st 2015. (21) The Wrap. Viacom Defends Paramount’s Disappointing Revenue. Retrieved December 1st 2015. (22) The Wrap. Phillipe Duaman. Retrieved December 1st 2015. (23) Deadline. J.J. Abrams Extends Deal to July 2018. Retrieved December 1st 2015. (24) Paramount Pictures. Paramount Showcase: Secret Soldiers of Benghazi. Retrieved December 1st 2015. (25) Paramount Pictures. Paramount Showcase: Zoolander 2. Retrieved December 1st 2015. (26) Deadline. Paramount Revs Evel Knievel Pic with “Departed” Scribe and Scorsese Retrieved December 1st 2015. (27) Deadline. Evel Knievel. Retrieved December 1st 2015. (28) Slashfilm. Paramount Vault. Retrieved December 1st 2015. (29) Bloomberg Business. Paramount Pictures Key Developments. Retrieved December 1st 2015. (30) Bloomberg Business. Paramount Pictures: New Licensing Deal. Retrieved December 1st 2015. (31) Bloomberg Business. Paramount Pictures Expands Offerings. Retrieved December 1st 2015. (32) Wall Street Journal. Paramount’s Plan Sees Scary Results. Retrieved December 1st 2015. (33) Youku. Company Logo. Retrieved December 1st 2015. (34) Wall Street Journal. Paramount’s Plan Sees Scary Results. Retrieved December 1st 2015. (35) UltraFlix. Company Logo. Retrieved December 1st 2015. (36) https://www.youtube.com/watch?v=Dx3ShEjUId0 Terminator 2015 Trailer. Retrieved December 1st 2015. (37) https://www.youtube.com/watch?v=FjLSKvVDWyA Mission: Impossible Trailer. Retrieved December 1st 2015. (38) https://www.youtube.com/watch?v=Y9Jy2T0uQ9Y Paranormal Activity Trailer. Retrieved December 1st 2015. (39) https://www.youtube.com/watch?v=GKOfR29xu-4 Scout’s Guide to the Zombie Apocalypse Trailer. Retrieved December 1st 2015. (40) https://www.youtube.com/watch?v=vgqG3ITMv1Q The Big Short Trailer. Retrieved December 1st 2015. (41) https://www.youtube.com/watch?v=rQpN9LXrD-0 Roman Holiday Trailer. Retrieved December 1st 2015. (42) https://www.youtube.com/watch?v=arhMMJx7tCU Daddy’s Home Trailer. Retrieved December 1st 2015. (43) https://www.youtube.com/watch?v=jBFmlNfFwUw The Secret Soldiers of Benghazi Trailer. Retrieved December 1st 2015. (44) https://www.youtube.com/watch?v=4CL4LNWHegk Zoolander 2 Trailer. Retrieved December 1st 2015. (45) IMDB. Movies. Retrieved December 1st 2015. Brothers Bob and Harvey Weinstein founded Miramax Films in 1979 and sold it to Disney in 1993. In 2005, they launched The Weinstein Company, TWC, a multimedia and distribution company that encompasses Dimension Films, a genre-label founded in 1993 by Bob Weinstein . TWC and Dimension Films have released mainstream genre and specialty films . Recently the company has made a huge push in its television division. TWC is privately held. Box office wise, currently TWC is ranked 9th with 2.5% of the market share, grossing $69.1 million from its 8 films . This marks a decrease from the prior year in which TWC ranked 8th with 4.5% market share, grossing $491.7 million while releasing 21 films . Lee Daniels’ The Butler captures the story of a White House butler who served seven presidents through dramatic and changing times in American history. The drama starring Forest Whitaker and Oprah Winfrey “was expected to do well, but we didn’t expect to do this well,” shared Erik Lomis, President of Distribution for TWC. “The Butler” is the company’s first No. 1 debut since 2009  with an opening weekend of $24.6 million on August 16, 2013 . The film has accumulated grosses of $116.6 million domestically and grossed $146.5 million internationally . Vampire Academy is based on a best selling series about two “mortal vampires” who attend a boarding school and have to protect each other from the terrible forces. The highly anticipated fantasy film was a flop for TWC. In attempt to imitate the success of box office hits like “Twilight” and “The Hunger Games,” this young-adult adaption didn’t compliment the best-selling book series as the box office sales attest: It premiered in theaters on February 7, 2014, reeling in $3.9 million during its opening weekend . The film has accumulated grosses of $7.79 million domestically and $7.6 million foreign, totaling $15.3 million worldwide . TWC had an extremely successful year leading up to The Academy Awards, but fell short with only 11 nominations compared to the 17 from the year before . Regardless, the three films nominated received wide recognition. 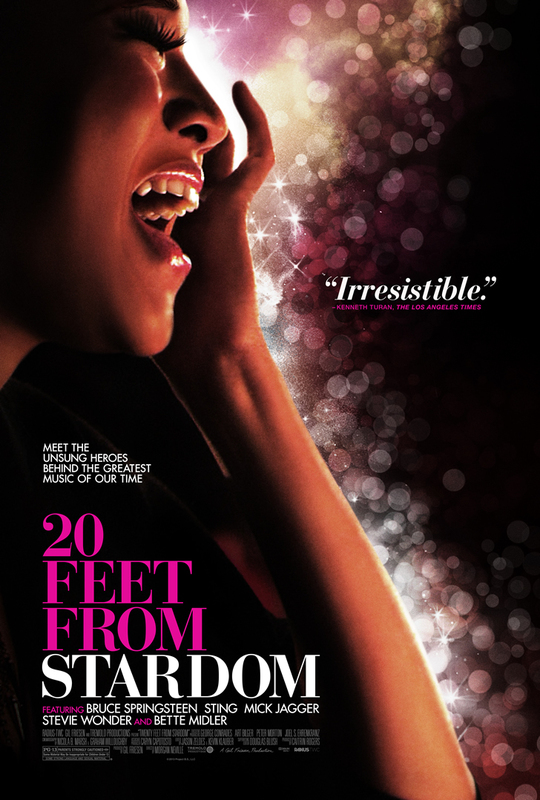 “Millions know their voices, but no one knows their names”- “20 Feet From Stardom” is a documentary that told the story of Darlene Love who backed up idols, Stevie Wonder, Frank Sinatra, Luther Vandross and Elvis Presley. The film shared her story of struggle of being feet away from the spotlight, but never making it . This film was TWC’s only Academy Award winner for Best Documentary Feature . Philomena captures the story of a mother searching for her son but instead finding his gay lover. The drama was nominated for Best Picture, Best Original Score, Best Actress, and Best Adapted Screenplay, but didn’t win any awards at the Oscars . With an opening weekend of $128,435, to date the film combines $37.5 million domestic with $62.4 million foreign, netting TWC $87.9 million . The dark comedy based on a Pulitzer Prize winning play portrays a dysfunctional family coming together after a death. Starring Meryl Streep and Julia Roberts, it was nominated for two Oscars. The film had a limited opening weekend of $179,302 in December 2013 and a wide opening of $7.1 million . The film has accumulated $37.7 million domestically and $34.7 million foreign, netting TWC $52.4 million . A $370 million line of credit from Union Bank helped TWC enter the television market in 2013 . TWC’s COO David Glasser explained, “We’ve invested a lot in TV because we see it as a big part of our future.” Now in 2014 the future is here. Having TV under TWC’s belt is an asset creating versatile operations, revenue, and a presence in the TV industry. TWC acquired the U.S. distribution rights to the Sky Italia drama series, ‘Gomorra’ from Beta Film, an international distributor . Stefano Sollima directed this series based on a bestselling novel about the Neapolitan crime administration Camorra, and is set for release in 2015 . Harvey Weinstein shares “This project caught our eye a while back for its world-class acting talent, as well as Sollima’s abilities to craft a thriller like none other.”  This acquisition benefits TWC with new innovative programming, and Beta Film providing ‘Gomorra’ access into American homes. TWC is continuing their Oscar worthy slate of films this summer, staying true to their demographics and genres of past films. These soon-to-be hit films with A-list names will hopefully yield them success at the 2015 Oscar’s and in the box office. “The Giver”, a science-fiction film, directed by Phillip Noyce stars Oscar winners Meryl Streep, Katie Holms, Jeff Bridges, and singer Taylor Swift . The film, which various companies attempted to produce previously, is loosely based on the classic 1993 Lois Lowry novel. Jeff Bridges called it “your next favorite movie.”  The story, set to release in August, illustrates a utopian society in which a boy is chosen to learn from an elder the true pains and pleasures of the real world . The drama/thriller film directed by Robert Rodriguez , is a sequel to the successful 2005 Weinstein film “Sin City” which domestically grossed $74 million . The black and white, 3D-esque thriller will be hitting the screens in August. The star packed cast includes Joseph Gordon-Levitt, Lady Gaga, Jeremy Piven, Jessica Alba, and Bruce Wills to name a few . Considering the triumph the original picture had and the megastar cast “Sin City: A Dame to Kill For” will likely attract crowds to the box office. The romantic-comedy film from writer-director John Carney is set to release on July 4th . “Begin Again” follows a distressed ex-recrod label executive, Mark Ruffalo, fall in love with a young singer-songwriter, Kira Knightley, after her boyfriend, Adam Levine, dumped her . At the Tribecca Film Festival Carney explained, “Begin Again is a true New York story about magical opportunities.”  This classic summer “romcom” will catch movie goers attention from the star studded cast, to the simple yet entertaining plot. The future for TWC is positive and optimistic. Prior to last year TWC was a dominant player in Oscar awards. Presuming this year was a fluke, TWC should bounce back stronger next Oscar season. Additionally, the significant infusion of cash into its TV segment, will bolster the company’s position in the industry, while likely improving its bottom line. Focus’ competitors are DreamWorks Studios, Lionsgate Entertainment Corp, and The Independent Film Channel LLC. These companies share values of specialty and high-quality produced films. Brokeback Mountain, The Kids are All Right, Anna Karenina, Atonement, and Milk, are a handful of Focus’ Oscar wins and nominations. Focus Features releases approximately 5 feature films annually. There is an expected bump up in yearly releases with the evaporation of FilmDistrict into Focus Features. Adrian Alperovich will run as chief operating officer with the changes in January 2014, taking the place of Andrew Karpen who declined the offer to move to LA with the new Focus Features headquarters. As co-chief executive officer, Karpen managed Focus’ international and domestic activities. “The breadth and depth of Peter’s experience in the film business including production, acquisitions, distribution and most recently running FilmDistrict, will be a tremendous asset to Focus Features as the company broadens its portfolio beyond the production and distribution of specialty product,” said Universal Pictures chairman Donna Langley. “Peter is one of the most talented executives in the industry and I’m confident that under his leadership, Focus will become even more of a force as the specialty film business continues to evolve.”  Under Schessel’s administration starting January 2014, the remaining FilmDictrict productions will be released as a part of Focus Features films. The merge serves to build Focus’ global footprint by increasing commercial films, broadening film styles, and raising annually released films to 10. These goals will further structure and change the art-house film unit and expand the company’s range of audiences. The absorption of FilmDistrict and part of its professional team will escalate Focus Features to a status above its specialty competitors. Opening weekend The World’s End ranked fourth with $8,811,790 in 1,551 theaters. Currently in its 13th week, The World’s End grossed about two times as much as its budget with $46,074,336 worldwide. The third in Wright’s Cornetto trilogy, The World’s End expected to soar inside and outside target audiences. With continual decrease in weekend gross, the theater count dropped dramatically every weekend, adding to the overall decrease in The World’s End profitability for Focus Features. The future for Focus Features revolves around the changes in the company, innovation in a multi-platform world, oscar buzz, and additional films set for release from both FilmDistrict and Focus’ slate. Focus Features is currently producing Bad Words to be released March 2014, Boxtrolls to be released September 2014, and 50 Shades of Grey to be released February 2015. With the new merge, the company plans on releasing the slate that FilmDistrict carries, alongside their own slate. Universal Pictures took an educated leap with this merge; only the future will tell if Focus will prosper as a production company or flop as an amateur partnership.